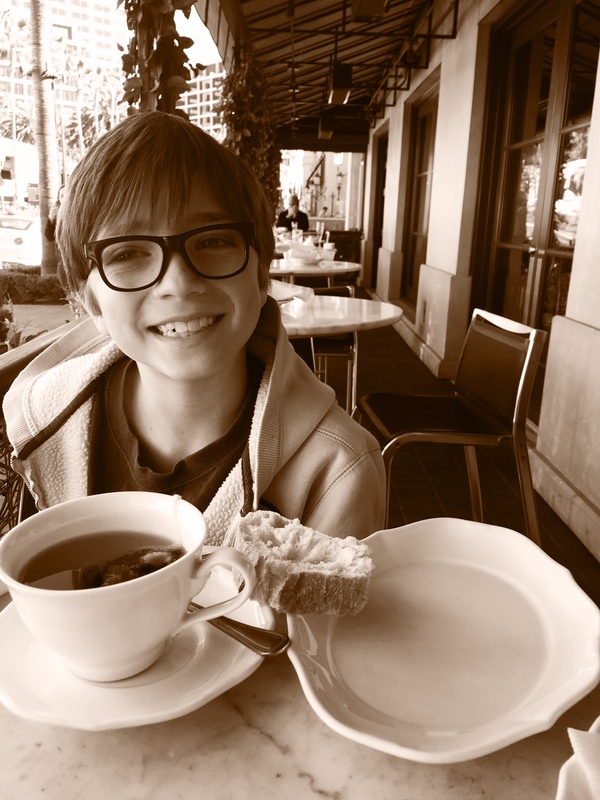 After dropping my son and his friends at the Island Cinemas to see an afternoon movie, it was the perfect weather to dine al fresco at Canaletto with my younger son. 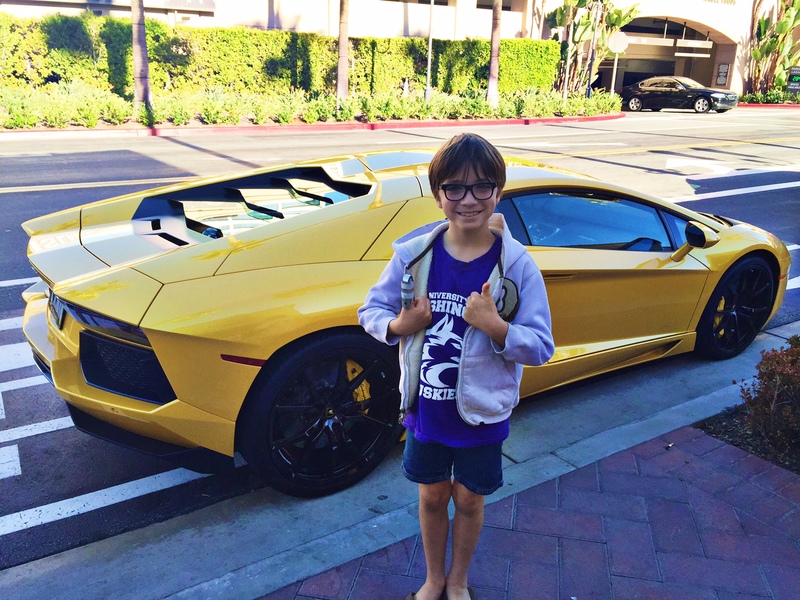 My son loves to dine on their outdoor patio so he can watch the beautiful cars that are always parked in front of the restaurant. With it being Newport Beach Restaurant Week, I could not wait to see what they had planned for their special prix fixe menu. We started our lunch with a basket of different breads followed by a plate of bruschetta. 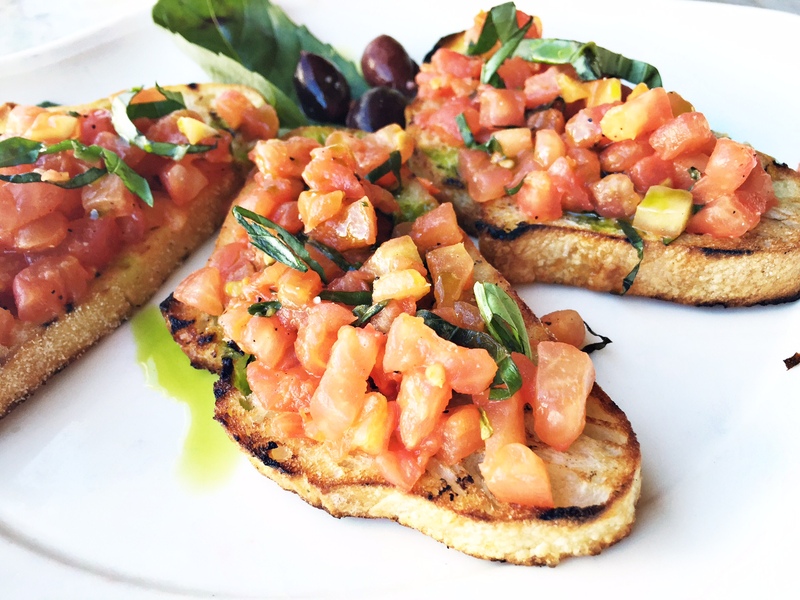 The bruschetta came with three large toasted pieces of baguette topped with finely chopped ripe tomatoes. With it being the off season for tomatoes, they were still sweet and blended with the perfect amount of olive oil. The menu had a great variety, and my eyes immediately navigated towards the pear ravioli. 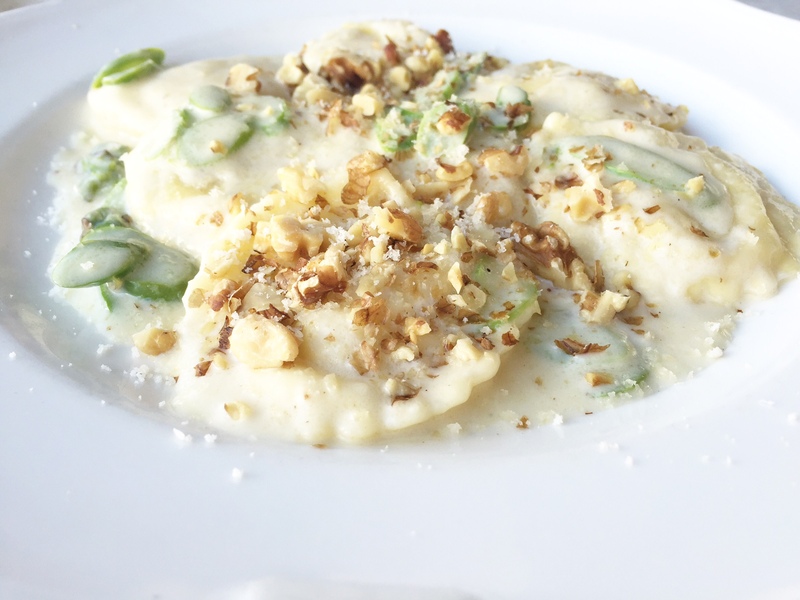 The housemade ravioli came filled with roasted pear; Grana Padano mozzarella tossed with asparagus and Stracchino cheese sauce. The dish was perfected with the toasted walnuts and parmesan sprinkled on top. The rich dish had a velvety smooth sauce that melted in my mouth with every bite…pure perfection. Finally, we ended lunch with the cannoli. The plate came with crispy mini cannoli shells filled with sheep’s milk ricotta, candied orange, chocolate, and pistachios. 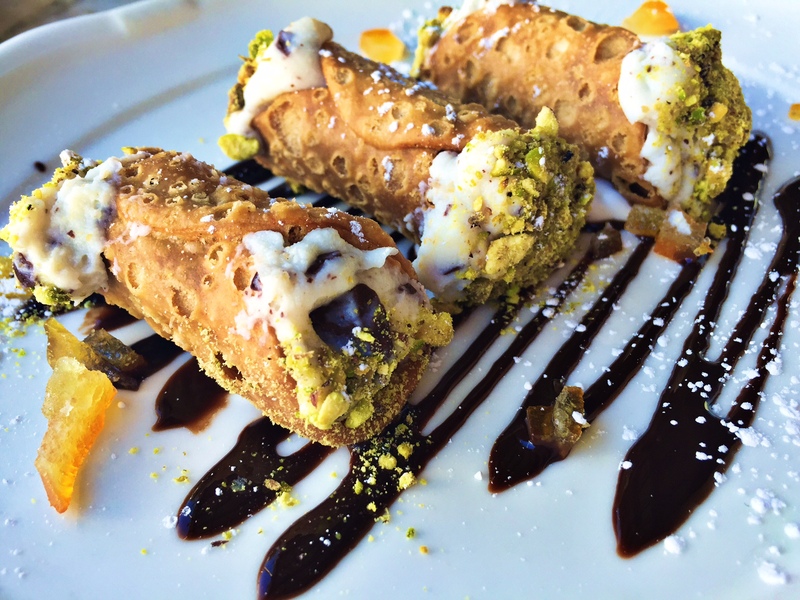 The smaller cannolis are my favorite because you get the perfect amount of creamy filling packed with the right amount of crunch, and the pistachios neutralized the sweetness of the dish. The three-course prix fixe lunch menu is available for $20 per person until February 1st. It includes an appetizer, main course, and dessert. 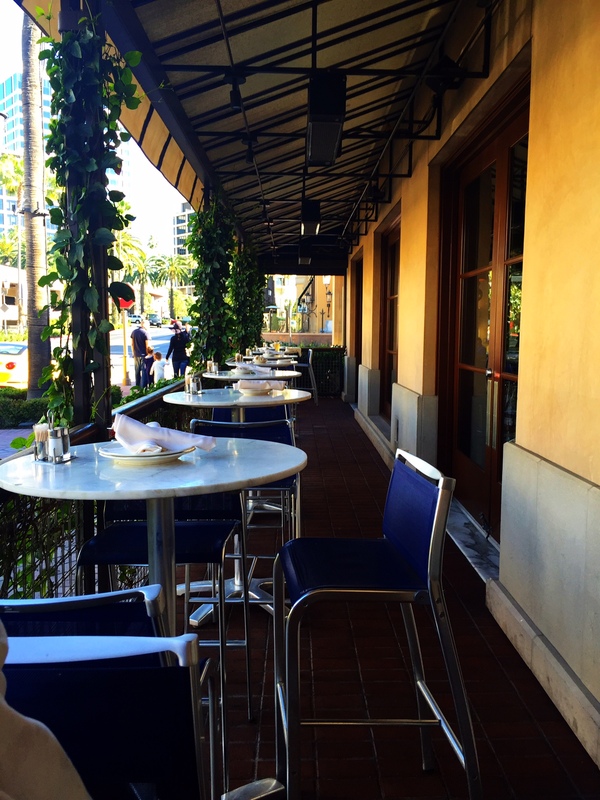 You’ll escape to Italy for the afternoon when dining al fresco at Canaletto. Canaletto is located at 545 Newport Center Drive in Newport Beach.